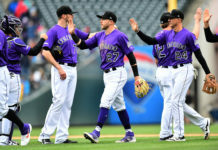 The Colorado Rockies beat the New York Mets Thursday afternoon at Coors Field by a final score of 5-4 in bizarre fashion. In the ninth inning, Mets pitcher Hansel Robles worked himself into trouble, loading the bases via hit batsmen, a sac bunt, an intentional base-on-balls and a walk. With one out, All-Star Nolan Arenado came to the plate with the bases juiced and an opportunity to once again play hero for the Rockies. After quickly getting ahead on Arenado 0-2, Robles fell apart, throwing three straight balls to load the count. With a 3-2 count and the game on the line, Robles airmailed a pitch way over Arenado’s head to walk home the winning run and give the Rockies the series victory. The free pass qualifies as a walk-off for Arenado who has now walked off in three of Colorado’s last four games. 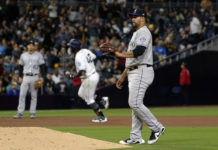 The game was a back and forth affair, with both club’s having ample opportunities to solidify a win; however, in the end, the Rockies ended up on top. For Colorado, it was a mixed day all around. Starting pitcher German Marquez was a good for a majority of the day, tallying six innings, allowing three runs on six hits while punching out five. All in all, Thursday’s start was a strong one for Marquez who has now logged five straight quality starts. The Rockies’ offense was in typical form Thursday, compiling five runs on 12 hits en route to the victory. 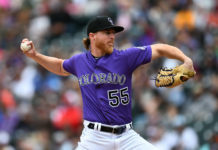 Charlie Blackmon, DJ LeMahieu, and Gerardo Parra all drove in runs for Colorado Tuesday, in addition to birthday boy Mark Reynolds who celebrated turning 34 with a solo shot in the sixth inning. 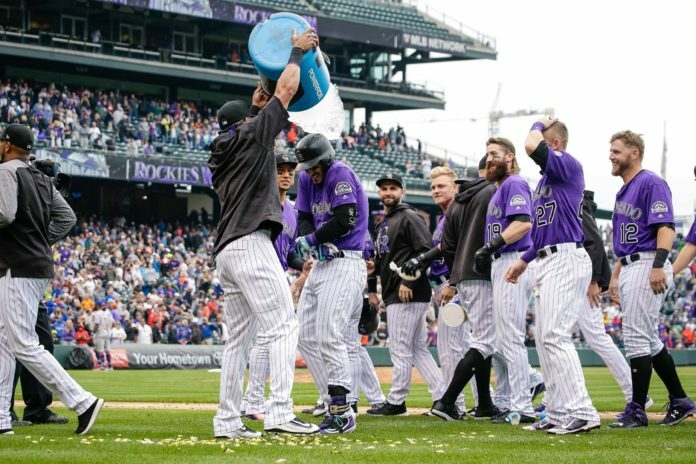 The series win was a big one for the Rockies who continue to remain arm in arm with the Arizona Diamondbacks in the National League Wild Card standings. Colorado will now welcome the Philadelphia Phillies to town Friday for a three-game set.